Sweet pastry shell lined with Guittard chocolate, filled with fresh custard and decorated with a medley of fresh fruit. This dessert is only pretty, but itâ€™s delicious as well! 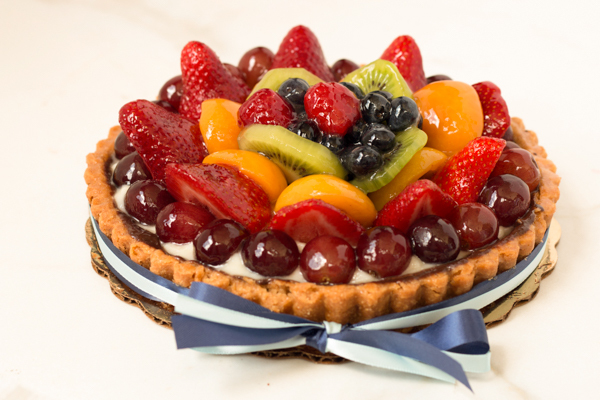 Alternate Sizes : Fruit Tart Fruit Tart - 11" Fruit Tart - 3" Fruit Tart - 7" Fruit Tart - 9"